For years now, Elizabeth Warren has gone on about wanting a $22 minimum wage. She is supposed to be a genius in economics. Do tell? Only if you want to bankrupt businesses, drive prices sky high and put millions out of work. You know how much she pays her interns? $0, zilch, nada. What a leftist hypocrite. Per Legal Insurrection, she claims that the minimum wage would be $22 per hour if it kept up with worker productivity gains over the past several decades. 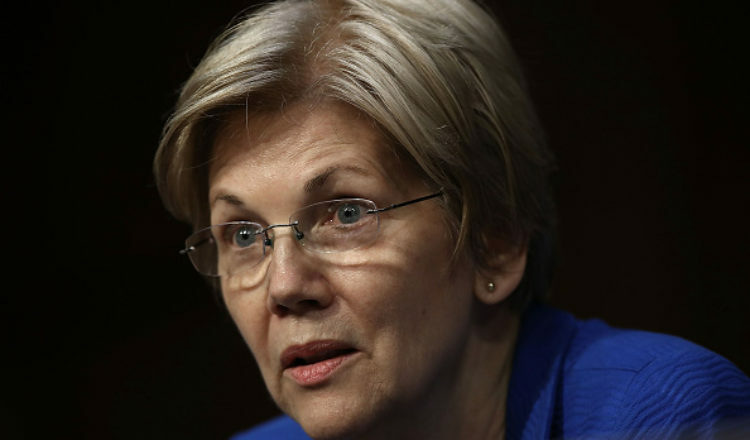 Warren’s analysis is fundamentally flawed because it does not measure increased productivity of minimum wage unskilled workers or justify paying $45,000 per year as a minimum regardless of worker skills. Moreover, Warren cherry-picked the $22 number, ignoring other much lower numbers in the study on which she relied based on other measurements. Liberalism is synonymous with hypocrisy. There literally isn’t enough time in the day to call her on all the hypocrisy she’s guilty of her. We will do our best though. Warren is seeking new interns as I write this that will do the following: “Interns will perform a variety of duties, including conducting research for the legislative staff, communicating with constituents, and assisting in the administrative operations of our office. Interns in the Washington, DC office will also assist with tours for visiting constituents, attend briefings and hearings, and supporting the press staff.” All of Warren’s internships are non-paid. She only selects the finest of slaves. Warren is not alone. Unpaid internships in Congress are the norm and appear to be legal because that’s the way Congress wrote the law. She also uses these interns when campaigning. The woman is wealthy and privileged. She’s a Marxist moonbat as well. 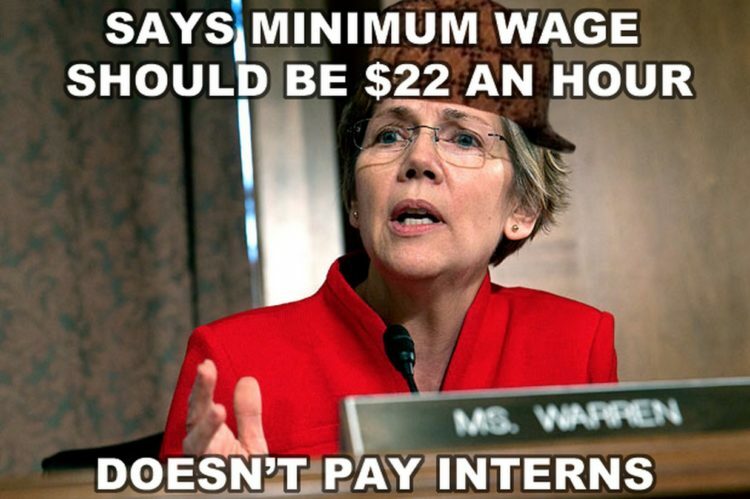 It’s obscene that she has the nerve to demand a $22 an hour minimum wage and refuses to pay her own interns. Typical leftist.